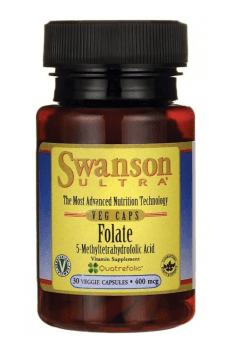 Folate Quatrefolic 400mcg 30 caps. The supplement is an excellent alternative to synthetic folic acid. It contains its bioactive form, which directly participates in the body's biochemical processes. According to the recommendations of specialists, in the prevention, the doses of 400 mcg of folate per day are applied. This compound dissolves in water so it does not have to be taken with food. It should be remembered that high doses of non-steroidal and anti-inflammatory drugs such as aspirin and ibuprofen may inhibit the binding and metabolism of folate, which reduces the effectiveness of supplementation. Liquid containing vitamin D. Strengthen bones and teeth, and calcium absorption.